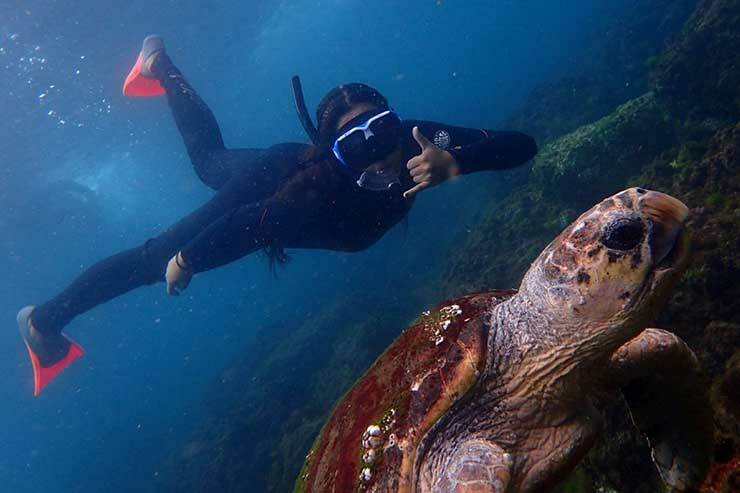 If swimming alongside sea turtles is high on your bucket list, then a trip to Cook Island with Watersports Guru is for you. Just a short boat trip from the southern Gold Coast, Cook Island is perfect for divers and snorkelers of all experience levels. What’s more, it is the one place in Australia where you are guaranteed to see a range of species of turtles. If you’re lucky, you might even encounter dolphins or whales too. The tour is limited to nine people at a time to guarantee an intimate experience, so pre-book online. Currumbin Wildlife Sanctuary to do the same. Kangaroos have been the perfect models thanks to their holding gaze and inquisitive nature. Not convinced? Check out #kangarooselfie. Catch a wave with the most beloved creatures of the ocean. Dolphins are often spotted dropping in on surfers, particularly when big swell hits the Gold Coast. Although not guaranteed, it makes for a pretty incredible story and we think that’s reason enough to get out on your board. Each year, from June to November, around 20,000 humpback whales pass the iconic beaches of the Gold Coast along the Humpback Highway, bound for the warmer waters of North Queensland. There are some great onshore lookouts to admire these gentle giants from a distance. Or, if you’re seeking a more intimate encounter with the largest living mammals on Earth, board a vessel for a tour with any one of the Coast’s top operators. Bird watching (‘birding’ to those in the know) is the latest obscure hobby to enjoy cult status. Fortunately for the Gold Coast, the nearby World Heritage-listed Lamington National Park is home to Australia’s largest collection of sub-tropical birds, making it a birder’s dream. 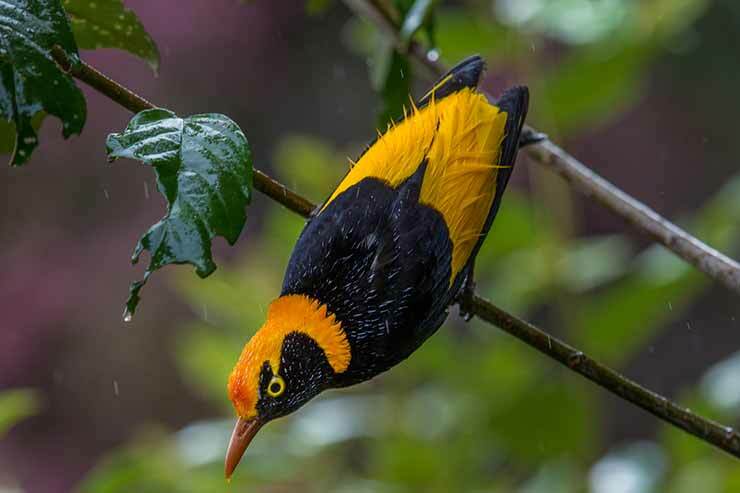 A visit to Lamington by eagle-eyed naturalists could result in sighting of the rare Alberts Bowerbird which is not found anywhere else on earth, the Paradise Rifle, Rufous Scrubbird or even the Regent Bowerbird. Only in Australia could a worm be spectacular enough to merit a special journey. 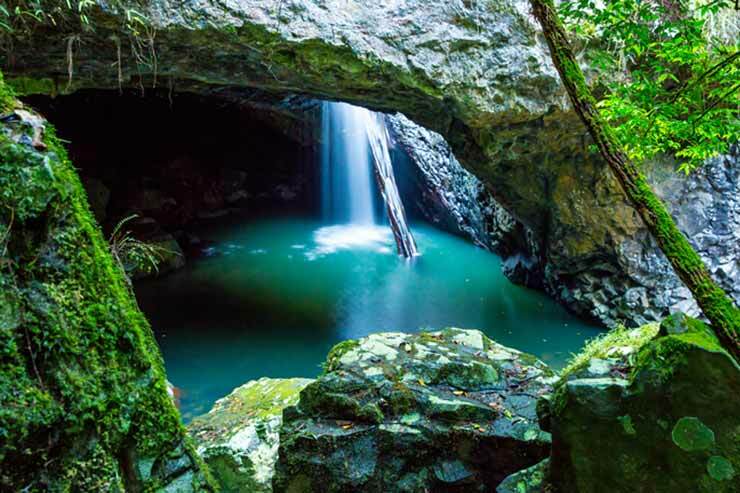 Natural Bridge at Springbrook National Park is nature at its absolute best and a great place to see the famous Australian glow worms. Located within Springbrook National Park, Natural Bridge makes for a brilliant day trip, but it’s after sunset that the natural rock formation really comes to life. Magical glow worms can be seen dotting the rock formation and on summer nights, luminous fireflies and fungi can also be seen. Inspire the next generation of wildlife watchers enabling them to become a ranger for a day at Heritage-listed David Fleay Wildlife Park. 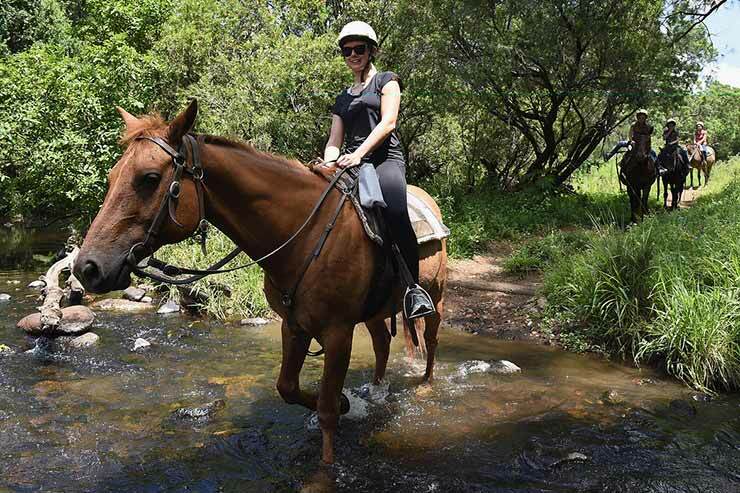 The ‘Junior Rangers’ receive an access all areas pass, getting up close and personal with some of Australia’s amazing native wildlife, learning how to protect native animals and rolling up their sleeves to experience animal husbandry. The park plays an important role in demonstrating the conservation initiatives of David Fleay, who established the property in 1951. Inspired to visit Australia's Gold Coast? Find out more about Corroboree West 2017 - Tourism Australia's mega familiarisation trip hosted by Destination Gold Coast and beyond.